Tommy Emmanuel Guitar Camp Scotland is a 4-day event for players and music-lovers of all ages, levels, interests, and taste. A unique opportunity to learn from and spend time with three of the world’s finest guitarists: Tommy Emmanuel CGP, Richard Smith and John Knowles CGP. Whether you are a master player, a beginner, or just an enthusiastic fan, a full programme of activities, workshops and concerts is designed to improve playing, provide tips to take home and most importantly, share the joys of music. “My goal is for everybody to take away something unforgettable. It’s that experience. It’s a new way of doing things. It’s a new way of seeing things. Everything comes from hanging together, learning from each other, and playing from a pure point-of-view.” Tommy explains. Following a series of hugely successful guitar camps in spectacular venues in the USA, demand from fans led to a long search for the perfect place to host the inaugural European version. That location was found in the beautiful surroundings of Atholl Palace in Pitlochry, Scotland. “This will be my very first camp in Europe, and I personally can’t wait. It’s going to be unlike anything I’ve ever done. Fans have been asking me to do one of these events in Europe for so long. We checked out a ton of spots, but Scotland really spoke to us.” added Tommy. From May 11 to 15 next year, Tommy, fellow renowned guitarists Richard Smith and John Knowles CGP and guests at the Guitar Camp will spend four days together staying at Atholl Palace. Beginning with breakfast each morning, the days will be filled with lessons, Q&As, demonstrations and after dinner concerts, with opportunities to perform as well as learn. “Ultimately, it’s all about having an amazing time together. The thing about these camps is they’re life-changing. We’re here because we love to play! That’s what it’s all about. I can’t wait to see you all in Scotland in May.” said Tommy. 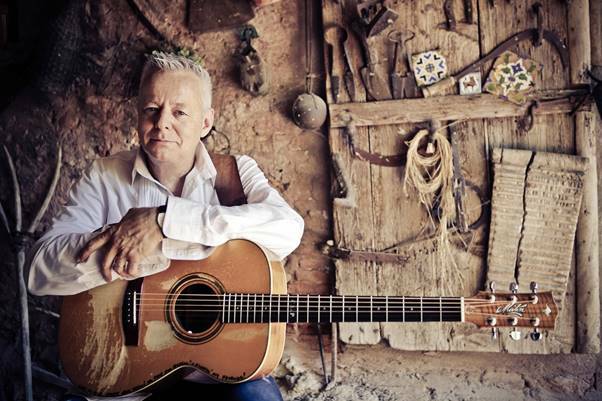 Two-time GRAMMY nominee Tommy Emmanuel CGP is one of the world’s most respected musicians. Playing guitar from the age of four and with a professional career spanning five decades, Tommy has garnered hundreds of thousands of loyal fans worldwide. His hero and mentor Chet Atkins honoured Tommy with the title of “Certified Guitar Player” (CGP) for his contribution to guitar music, a very rare distinction shared by only four other people in the world. Tommy’s new album ‘Accomplice One’, a collection of duets with artists including Mark Knopfler, Jason Isbell, Rodney Crowell, Amanda Shires, Jerry Douglas, Ricky Skaggs and many more is released on January 19 2018. Richard started playing the guitar at age 5 and has never looked back. Focusing early on with the fingerstyle guitar of Chet Atkins and Jerry Reed, he began transcribing classical music, Jazz, the gypsy style of Django Reinhardt, bluegrass, ragtime and the blues to Sousa marches. Now, with thousands of performances worldwide to his credit, Richard has become renowned for his mastery of instrument and for his knock-out entertaining shows.